Home Java Explore Yogyakarta and Central Java – Obama Style! On repeated invitation from Indonesia's President Joko Widodo to the then President Obama and later to former President Obama, finally from 23 June – 2 July (2017), US 44th President together with Michelle Obama, daughters Malia and Natasha, and sister Maya Soetoro and family came to Indonesia for a private holiday to Bali, Yogyakarta and Central Java and Jakarta-Bogor. They had one request only : not to be disturbed by throngs of media and tv crews during this private visit. In Jakarta Obama was invited as keynote speaker to the 5th Indoneisan Diaspora Congress. But, of course, the excited Indonesians were difficult to keep at bay. Following in the footsteps of the Obamas, the choice of attractions and places they visited revealed the deep interest Obama had to study at more in depth Indonesia's culture at site and more up to date, how Indonesia's multi-cultural society worked in today's modern world. When in Bali, Obama studied the Subak sustainable agricultural system at Jatiluwih, while in Central Java and Yogya , where he had also stayed during his childhood, he seemed to have taken great interest in the reconstruction of the once ruined Hindu Prambanan temple, spending a longer time there and taking many photographs of the temple and the Ramayana reliefs etched on the walls. He also asked for a special performance of the Gatotkaca wayang kulit shadow puppet show, which has deep philosophical connotations. Of course he also visited the places where he used to wander around in Yogyakarta. It was for this reason, we presume that he chose to stay in the center of the city in the Tentrem hotel, rather than at the more exclusive hotels much closer to the magnificent Borobudur temple. In Yogya the group stayed from 28 July – 30 July 2017. So, if you are eager to follow in the footsteps of Obama's holiday in Yogya and Central Java, here are the places and attractions the Obamas visited during their vacation here. 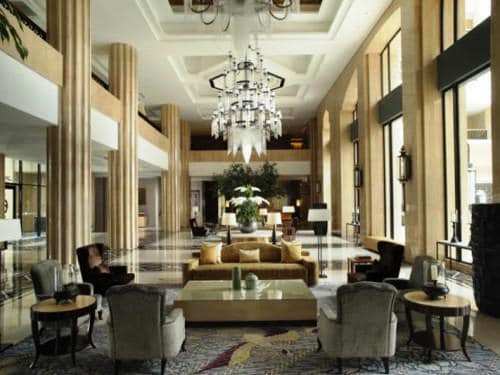 Located in the more residential area of Yogya, the Tentrem Hotel is a rather new hotel, high-end but not ostentatious. Following the believe that culture plays a central role in guiding actions towards services, Hotel Tentrem – a luxury hotel in a traditional atmosphere, was the choice of Barack Obama. Embracing the feeling of peace and tranquility, as the word "tentrem" in the Javanese language refers to, you can start your journey in Yogyakarta from here. You can see Mount Merapi from your room, spoil yourself in the spa, or have a friendly tennis match with your friends. The pool-view Kayumanis Coffee Shop will also give you the greatest culinary experience. It was also here in this hotel that Obama had asked to get a private wayang kulit (Java's iconic shadow puppet) show on the challenges faced by Gatotkaca. How to get there: 30 minutes from airport (13 km), 10 minutes from train station (2 km), and 15 minutes from downtown (3 km). The magnificent Buddhist Borobudur temple is of course the monument no one fails to visit when in Central Java. In fact, for many it may be the sole reason for travelling to Indonesia. Built in the year 825, Borobudur has become the symbol of tolerance and ‘harmony in Indonesia', since although this is a Buddhist heritage site, people living around the monument are majority Muslim, and in fact, the Indonesian government has meticulously and lovingly restored it together with UNESCO support. 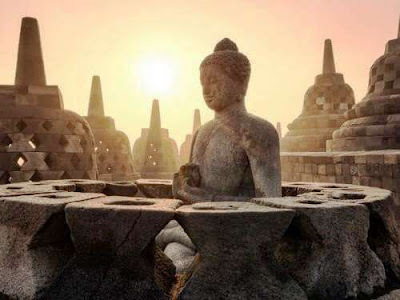 Borobudur is now one of Indonesia's main tourism icons. The view from the very top especially at sunrise can only be described as : Spectacular. And, strangely serene and spiritually inspiring. Built on a hill, and in fact covering the hill, Borobudur comprises nine stacked platforms, six are square and three are circular, and it is topped by a central dome. Around its walls are carved no less than 2,672 relief panels as well as 504 Buddha statues. 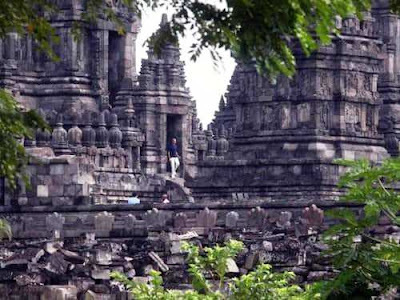 The restoration project undertaken between 1975 and 1982 was by far the largest restoration project by the Indonesian government and UNESCO. Borobudur is today listed as a UNESCO World Heritage Site. If you are an architecture and history buff, or even into current politics, in your second day in Yogyakarta, you should visit the elegant Hindu Prambanan Temple, a 9th century Hindu temple compound, that is the largest in Indonesia and one of the biggest in Southeast Asia. Not only is it fascinating in structure and the construction, the temple also has amazing historical and cultural features, reflected in the panels of narrative bas-reliefs, telling the story of the Hindu epic of Ramayana and Bhagavata Purana. 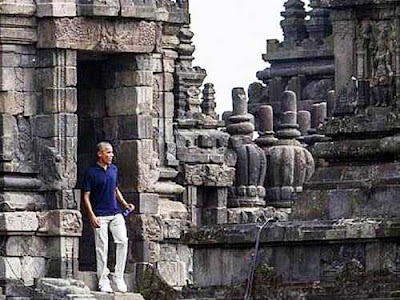 Visiting Prambanan, Obama was particularly impressed by the white monkey Hanoman. Maybe you will have your own favourite characters too. Later in Jakarta, as keynote speaker, Obama made special mention how the Prambanan and Borobudur temples, two temples from two different religions (Hindu and Buddhism) exist so close to one another, while both are cherished by the local communities, most of whom embrace Islam. This clearly showed to the world Indonesia's spirit of tolerance and co-existence in harmony, which is the hallmark of Indonesia's national spirit, expressed in Bhinneka Tunggal Ika – We are Many and Diverse, but we are One. 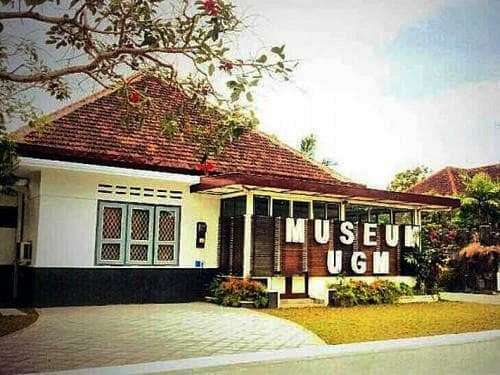 If you wish to trace back Obama's childhood memories, the first destination to visit in Yogyakarta is the Museum of Gajah Mada University. Prior to being officially turned into a museum, this building was a house owned by Obama's step uncle, Prof. Dr. Iman Sutiknjo, where Obama used to stay when in Yogya. In the museum you can find old furnitures like a bed and chairs used a lot by little Barry, as Obama used to be called. Not only that, you can also find Obama's toys in this museum, even though they are no longer in perfect condition. Address: Bulaksumur Blok D7 Caturtunggal, Sleman, Yogyakarta. 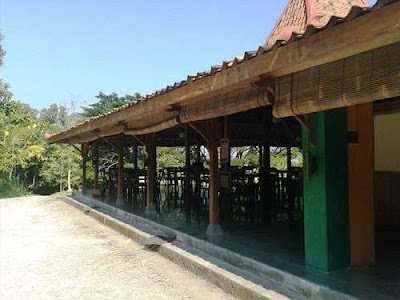 For lunch, Obama and his family chose the very typical Javanese Bumi Langit Restaurant. Bumi Langit stands out over other restaurants in Yogyakarta because of its unique concept, creating a living space where visitors can witness and learn about the importance of communal living in harmony together and with nature. Not only does it provide authentic Indonesian food, Bumi Langit also manages an institute, farm, and other initiatives related to the environment and social empowerment. Located 2 km south within the grounds of the Kraton Yogyakarta, the 18th century building of Taman Sari Water Castle had sparked the interest of Obama's daughters. 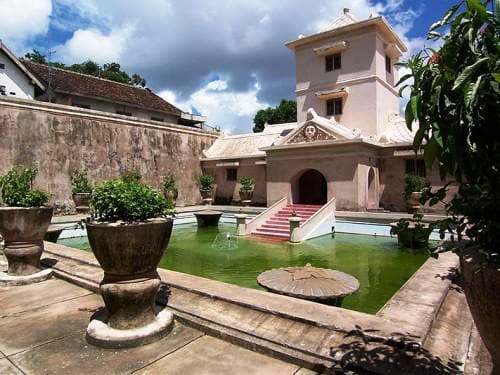 Combining European architecture with traditional Javanese style, Taman Sari used to be a bathing area for the princesses of Yogyakarta Sultanate. Consisting of an artificial lake with islands, pavilions, and bathing complex, Taman Sari is a popular tourist destination in Yogyakarta. Another place they planned to visit was the large square called alun-alun in front of the Sultan's palace that has two large banyan trees. The challenge is for anyone able to walk through blindfolded between the trees will receive lots of blessings. Very few succeed. Unfortunately, because the place was crowded, Malia and Natasha decided to forego the challenge. Managed by 40 local residents, who were originally pine sap tappers, Becici Peak is a "new" tourist attraction in Yogyakarta, established in 2015. Surrounded by 4,4 hectare pine trees forest, Becici Peak offers not only magical views but also exciting outdoor activities. 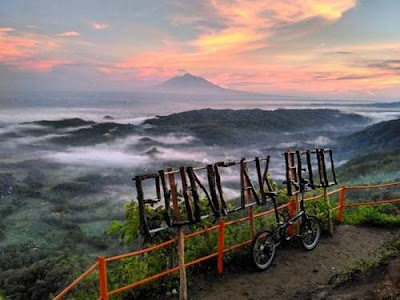 Visiting Yogyakarta with friends and family who have different interest, Becici Peak will be the one-stop destination that will suit everyone. It is a favorite spot for great selfies to show off on Instagram. Before checking out and continuing your journey, you should try various local cuisine in Yogyakarta. Barack Obama loves nasi goreng (fried rice), chicken satay, and bakso. If you are in Yogyakarta, Gudeg is a must-try dish that you cannot miss. 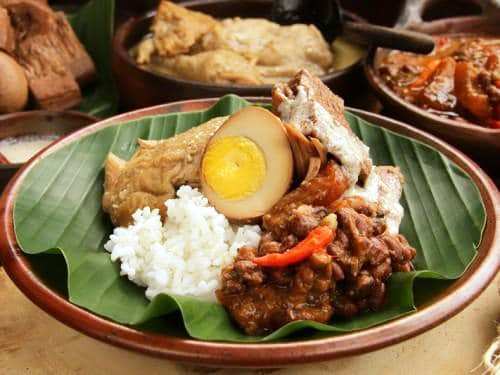 It is a traditional Javanese cuisine made from young unripe jackfruit, boiled for several hours with palm sugar, and coconut milk. The taste is rather sweet, but it is a whole complete meal all by itself.